ABC Travel is a tour operator specializing in travel to the Caribbean. Founded in 1997 by Joop Rauwers and taken over by Günther Kropp in 2000, ABC travel began as a one-man firm and has eventually grown into a company. Director Nicolai Ruiz-Zunderer has been contributing his expertise since 2016. 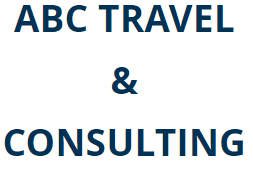 Accordingly, ABC Travel was renamed ABC Travel & Consulting. Moreover, properly representing hotels and resorts constitutes another one of our signature features. We successfully represent our clients on the European market as a whole, but our focus lies on the German-speaking market. Nonetheless, we believe success goes hand in hand with social responsibility. We consequently establish tourism products in local markets and thereby connect people from different cultural backgrounds while conveying a deeper understanding of foreign cultures. To us, globalization means building bridges. ABC Travel & Consulting wants you to be a part of this process! Our dedication will help our clients to generate more travel volume by improving brand awareness and arising the desire to visit foreign countries as well as people. Furthermore, we can let our clients take advantage of the best airline services! So what indicates our expertise? Firstly, an individual manager represents each key account. The Key Account Managers will accordingly be capable of designing unique marketing concepts for every client. Secondly, our team of managers can draw from the broad knowledge it has acquired across the years. Having a highly experienced staff allows ABC Travel & Consulting to have our fingers on the pulse of time, regardless of being a new company. We want you to take advantage of that! ABC Travel & Consulting – Your ace up the sleeve for the European travel market!